Movies.com > Movie News > Comics on Film: Will New TV Shows About the Flash and Gotham City Fit in the 'Batman vs. Superman' World? Comics on Film: Will New TV Shows About the Flash and Gotham City Fit in the 'Batman vs. Superman' World? 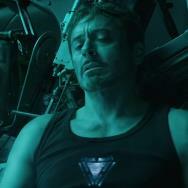 With Marvel Studios having beaten DC Entertainment to the punch on both creating an extensive cinematic universe and in uniting its flagship superhero team in a major motion picture, many fans have been left wanting in hopes that they might get to see the other side’s adventures treated the same way. Anyone in the know will tell you that the storytelling potential for the characters and locales of the DC Universe is just as vast as that of Marvel’s, with the characters, of course, being the principal difference in charting what kinds of stories can be told. As it turns out, DC fans everywhere may have gleaned a ray of hope last week in the form of two major DC television announcements. While Marvel’s Agents of S.H.I.E.L.D. 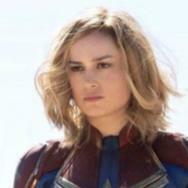 gave a strong debut on ABC, two major DC-related TV announcements hit almost exactly 48 hours apart: one of the shows is related to arguably DC’s most popular character, and the other one may represent some risk taking on the part of both DC Entertainment and a major broadcast network. The first announcement issued by Deadline was that Fox had already planned a series entitled Gotham, and that it would feature a young Detective James Gordon working his way up through the ranks of the Gotham City Police Department. In the initial announcement, it was also detailed that the show will likely be dealing with the rise of Gotham’s more eccentric criminal population in the years preceding Batman’s arrival and his war on crime. The second announcement is a show that will have a decidedly more supernatural flavor, as NBC has picked up Constantine: a series focusing on DC’s antiheroic sorcerer/detective John Constantine. While the character appeared in a film in 2005 starring Keanu Reeves, it was a pretty drastic departure from the source material. Constantine has been of greater prominence in the DC Comics Universe as of late due to his membership in Justice League Dark, a team-up book featuring other magical DC characters like Deadman and Zatanna among others. With this news, as well as the casting of the Flash in the CW’s Arrow with the intention of creating a spin-off series, could DC be building its universe across both film and television? Here are several things we know. In 2015, the sequel to Man of Steel will hit theaters featuring the first ever team-up in official live action of Batman and Superman. The film will be written by David Goyer with a story credit for Goyer and director Zack Snyder. Goyer is also a part of the creative team for Constantine, the new NBC series. For most of the last year, we’ve been aware of a project by director Guillermo del Toro: a film project called Dark Universe, featuring many of the characters from the aforementioned Justice League Dark comic, including Constantine. 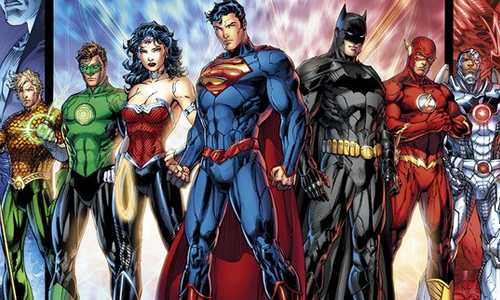 Goyer has also teased that he may be working on a Justice League film, a team traditionally consisting of Superman, Batman, Wonder Woman, Green Lantern, Martian Manhunter, Aquaman and the Flash. The Flash will soon be featured as a guest star on Arrow, the CW’s modern adaptation of DC’s Emerald Archer, the Green Arrow (also traditionally the eighth Justice League member). 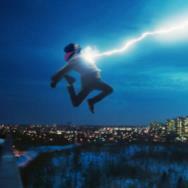 That guest appearance will extend to a Flash-centric TV series apparently spun out of Arrow. The new Gotham series will focus on the state of the city long before Batman makes his presence felt, and Gordon will be working his way through the ranks of the department as a detective. The Batman that will be portrayed by Ben Affleck in the Man of Steel sequel will be “tired, weary and seasoned” according to Time Warner CEO Kevin Tsujihara, leaving his early history as a crimefighter and Gotham’s history with supervillains very open and fertile territory for exploration somewhere else. While there are a lot of different creative teams and networks to unify, could this be the beginning of the DCU? Starting it on TV and building up the big guns in films would be a decidedly different approach than Marvel’s. Canonically, it’s possible that these elements can combine, since nothing in Man of Steel actively contradicted or denied anything we’ve seen in Arrow, and vice versa. 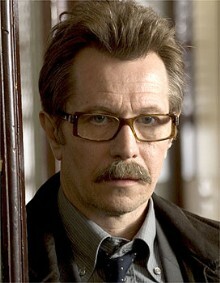 The most telling sign of this that we could see in the near future is the casting of James Gordon in the new series and the upcoming film with Batman, presuming that he will be a character at all in the Man of Steel sequel. Might they cast the same guy? It would also seem bizarre that WB and DCE would create a new Flash TV series when rumors abounded as late as July that he was a character next up for the film slate. The likelihood of the Flash not featuring in a Justice League film seems very slim, and the studio has a history of nixing any contradictory interpretations of its characters. That’s why Bruce Wayne and Hal Jordan never appeared on Smallville, for instance, as well as why certain on-air animated series were disallowed the use of certain Batman characters while Batman Begins and The Dark Knight were being produced. Could Grant Gustin’s Flash be the same character that will likely be in Justice League? 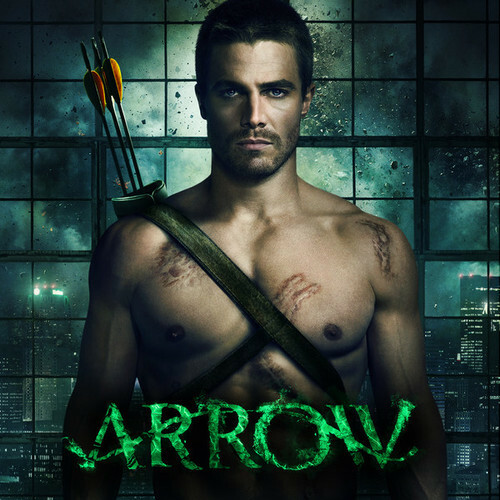 Could Stephen Amell’s Arrow potentially appear? With the strong push for new DC-related live action media, it’s hard not to ask about how they all might collate into a grand vision for a DC Universe, cinematic or otherwise. It seems as if the next year will be quite eventful as we begin to see how all of these elements will play out, and whether or not fans will finally get an equivalent universe led by a Dark Knight and a Man of Steel. 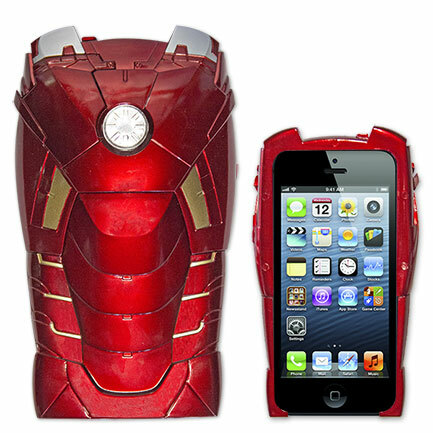 If you’re an Iron Man fan and your cell phone is an iPhone 5, 5C or 5S, then this is the phone case for you. Designed to offer protection on the sides and back of your device while still remaining functional and stylish, this case is designed after Iron Man’s Mark VII armor which appeared in The Avengers. One of the coolest parts of the case is that you can actually set the arc reactor to light up when you receive any notification on the phone, from a text message to a voicemail. It retails for $44.99 and can be found at SuperHeroDen.com! That’s it for this week. What do you think of the possibility that DC’s new TV projects may lead to its on-screen universe? Do you think it’s likely, or will Warner Bros.’ cold feet win the day once again? Sound off in the comments below, and we’ll see you again next week in a new edition of Comics on Film!